Help FoodShare keep its kitchen! FoodShare Toronto hasn't added a story. We have, and it's amazing! But, building a kitchen is expensive. Once we get to $30,000 we'll have raised the money to buy a new hood. There are many more things we will need for our new home. Dishwashers - Please help us with our dishpan hands and get our dishwashers up to 120 Industry St. Steam Table - Keep our delicious, healthy food hot and ready to serve. Another $5,000 will make that happen! Moving our industrial sized coolers - The good news is that we don't have to buy new coolers. The bad news, is that we have to move them. $50,000 will help us move our gear! A kitchen is more than fridges and ovens. Its drawers hold more than forks and knives. The counters bear more than cuts and spills. Its tools grow people and help them thrive. 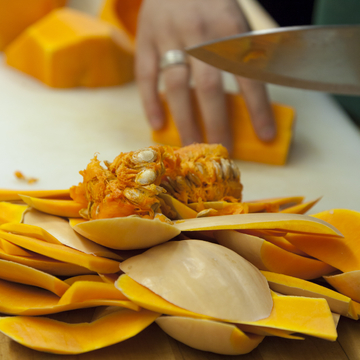 FoodShare’s kitchen is cooking up the future of school lunches. It’s where women going through breast cancer treatment cook together. It’s where youth get a healthy food education. And people connecting is an ingredient we haven’t even mentioned. But we have to move this August and could lose the kitchen since our new location doesn’t have a cooking space. Your contribution can help us build a place for people to cook, connect and savour. move our equipment to the new location. We’re keeping our coolers and ovens to keep costs and impact down. install a new hood. Better ventilation means more people can cook together at the same time. construction. We need to lay down plumbing and build some walls. We’re asking for your help because you know what happens when people cook and eat together. The perks for this campaign are pretty delicious, but more importantly every dollar you give goes into building the new kitchen. And your support for good food doesn’t have to be a dollar amount. We’d love if you could tell your friends and colleagues about our project! Send an email, Tweet, Facebook or Instagram it. We’re very thankful for any support. For all donations, you will receive a tax receipt less the value of the perk you choose. If you donate and elect to not choose a perk you will get a tax receipt for the full amount of your donation. So feel free to be generous! You can also start a sub-campaign for yourself or a team of colleagues to help us reach our goals. It's simple, just click the button on the bottom right of this page to get started! When do I get my perk? All physical perks will be delivered in October 2016, when we settle into our new location. 17,600 cups of Power Soup delivered. That’s a lot of warmth in winter. Over 20 small food businesses incubated in our space. That’s alumni like Bombay Street Food and Sweet Sammies cooking great things across TO. Our new location will have 24/7 access which means even more local businesses being launched. 72 community kitchens hosted. That’s 936 people who connected over a meal. 2,707 Wellness Boxes packed. 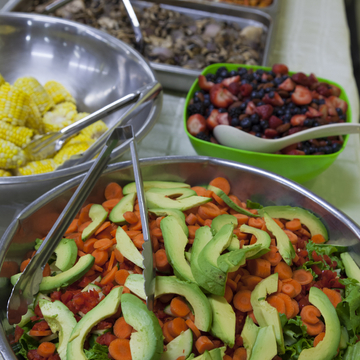 That’s over 240,000 servings of pre-cut fresh veggies and fruit for students and seniors. 420 of volunteers engaged. That’s over 2,500 hours given to community. 63,850 Good Food Café lunches served. That’s pizza days turning into salad days! 200 salads ready to go each week for TTC Grab Some Good markets. That’s eating well made possible in transit. 15 staff and students trained. That’s over a dozen careers started. 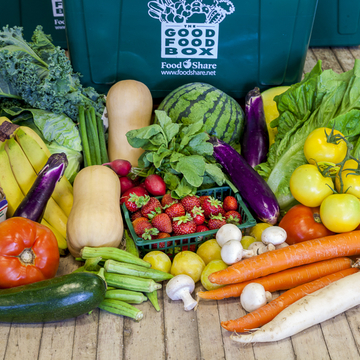 FoodShare Toronto is Canada’s largest food security organization. We are a charity with a 30-year history of increasing consumption of vegetables and fruits through community lead projects. We believe everyone deserves access to affordable, fresh food. Our mission is Good Healthy Food For All! FoodShare Toronto hasn't posted any updates yet. 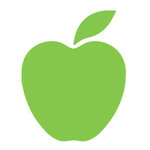 A bright reminder of FoodShare for your desktop. Warning may contain copious amounts of vegetables and fruit! Learn the secrets of our kitchen with our top five recipes file! Soup of the Day - your pick! Pick from our menu of nutrient dense, plant based power soups. They are distributed to agencies across the city during our coldest months. 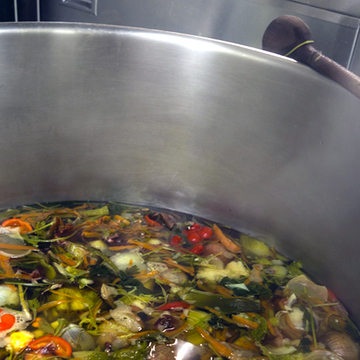 Each cup of soup provides a delicious, warm and comforting meal component to those who need it most. 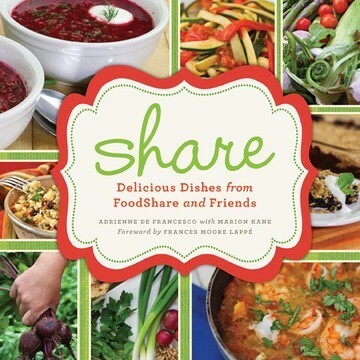 Delicious dishes from FoodShare and Friends. Our cookbook is a literary classic your library needs! Our friends at Fluf made these sustainable, beautiful and reusable totes so you can carry your good around. 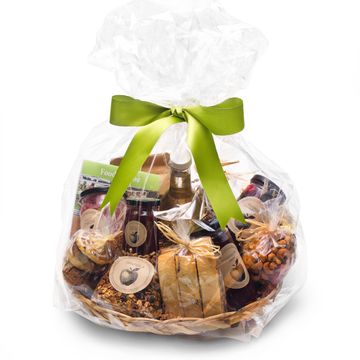 Every small ShareBasket is full of home-baked treats. You’ll receive your ShareBasket in October 2016 when our new kitchen is up and cooking! Peel, chop and parboil your way through a delicious cooking lesson with our Chef Leonard and enjoy the meal afterwards. Want to preserve your place in history? 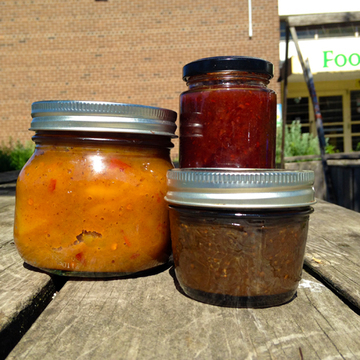 Name our scorching hot sauce or sweet sweet jam! We'll create a custom label for this year's batch that honours your contribution as a way of saying thanks. You'll also receive six jars for yourself! 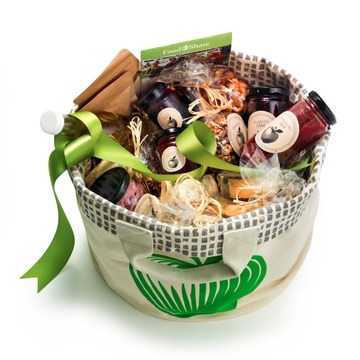 Every ShareBasket is full of home-baked treats and preserves. 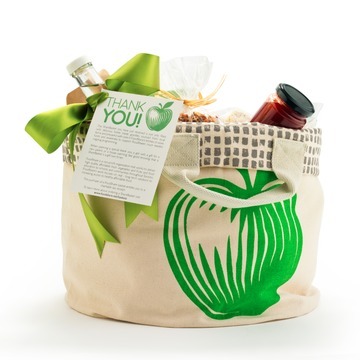 Wrapped in a ShareTote, you’ll receive your basket in October 2016 when our new kitchen is up and cooking. Get two tickets to our signature annual event Recipe for Change on February 23, 2017. It’s the tastiest way to support our work in schools. 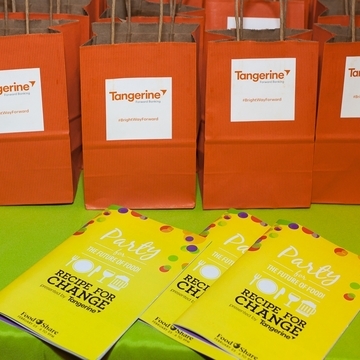 FoodShare Toronto is managing the funds for this campaign. FoodShare Toronto is a verified organization.